The latest rumors out of East Asia seemingly confirm Apple's next-generation flagship iPhones will retain the same dimensions as their iPhone 6s series counterparts, albeit with a thinner LCD array, and will not be waterproof as some have anticipated. A report from Japanese blog Mac Otakara sums up the latest scuttlebutt surrounding Apple's so-called "iPhone 7," saying the handset's height and width mirror that of the iPhone 6s. However, as KGI analyst Ming-Chi Kuo predicted prior to last year's iPhone debut, the upcoming model will be slimmer thanks to an LCD array that is 1-millimeter thinner than current components, the report said. The publication says whispers that Apple would introduce a new waterproof composite material for iPhone 7 are false. Instead, the device is expected to carry over the same levels of water resistance offered by the existing metal chassis design. Mac Otakara reiterates claims that the future iPhone's rear-facing camera is to be flush with the phone's metal casing, undoing a major pain point introduced with the "camera bump" seen on iPhone 6 and 6s. Less clear is the potential integration of a dual-camera system designed by imaging firm LinX, which Apple purchased in 2015. Today's report claims the smaller 4.7-inch iPhone 7 will not feature dual-lens technology, though the larger 5.5-inch version might. Kuo was first to detail Apple's purported work on dual-CCM imaging, saying the solution will incorporate two 12-megapixel sensors, one sporting optical image stabilization and a wider field of view, and another with a 2-3x telephoto lens. 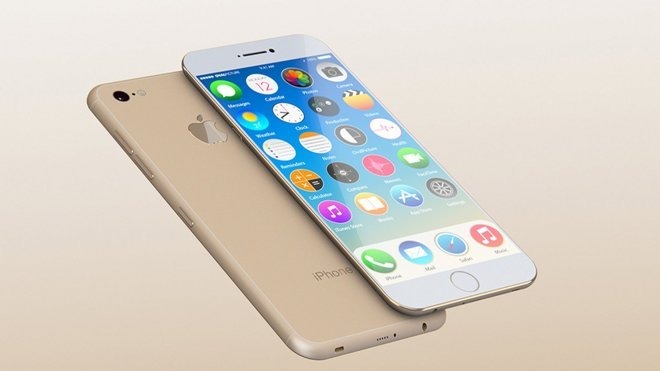 The analyst said supply constraints could limit initial production to a special iPhone 7 Plus version. Finally, the report echoes rumors that Apple is looking to do away with the 3.5mm jack, perhaps filling that space with a second speaker for stereo sound, at least when viewing content in portrait orientation. In deleting the headphone jack, Apple opens the door to a thinner Lightning port design. Apple is widely expected to announce a next-generation iPhone this fall, following the company's annual smartphone refresh cycle. In addition, rumors hold that a revamped 4-inch iPhone is in the offing and could debut in March.